Every parent I know tries to teach gratitude and appreciation to their children all year long. Most of them model appreciation every time they can. Some blow me away with their volunteer efforts that surely show their kids how to give back. No matter what you do to help raise children who will grow up to be thankful for other's small gestures or great kindness, it is always nice to have reminders around the house. Our family always turns to books to teach us of course, but also to help me emphasize any given point I need to make. Books help us express our feelings a little better, see how characters deal with situations like ours, and to inspire us to dream big! Right now, the theme of gratitude is everywhere! We are quickly approaching the holiday season and it shows. 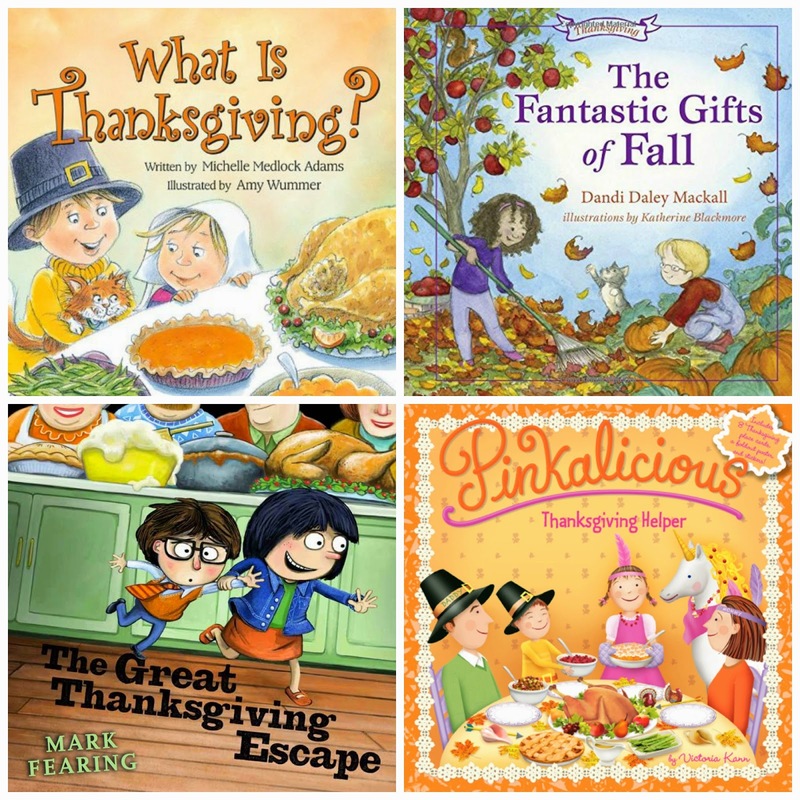 On a recent trip to the bookstore, we noticed rows and rows of Thanksgiving theme books. I thought, "Why not keep some of these books out and on full display all year long?" They could be little reminders to us and to children to count our lucky stars. While there, I also started to compile a list of the latest books on gratitude for you and your little ones. All of the books listed below were published this year. Some are available on paperback and for Kindle.